Leaked Chinese military documents purport that the People’s Liberation Army will seek to expand its presence across the world in order to defend its Silk Road interests. The Japan Times was the first outlet to report on the plans that putatively circulated in Chinese circles back in February and which implored the state to concentrate on expanding its force projection capabilities beyond coastal defense and into the maritime and land realms. Although not directly stated, this is in clear reference to the need that China has to protect its Silk Road infrastructure investments and Sea Lines Of Communication (SLOC), mirroring the path that all other globally relevant Great Powers before it followed in having their overseas military activity driven by economic interests. It was only a matter of time before China naturally did so as well, despite publicly eschewing this approach and being extremely sensitive to how it’s portrayed, though with good reason because of the likelihood that this will be exploited through weaponized infowar means as supposed “proof” that the country is really just “another imperial power”, albeit one that cleverly disguises its military moves with win-win Silk Road slogans. 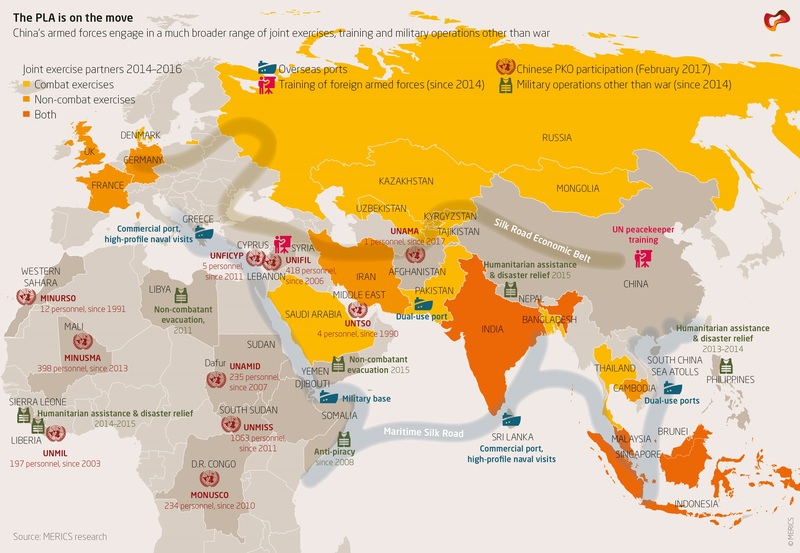 That’s not entirely correct, though it feeds into India’s paranoia about China’s creeping military encirclement through the so-called “String of Pearls” infrastructure projects around its South Asian periphery. About those, it would make the most sense for China to reach agreements with the host states there and beyond similar to the 2016 Logistics Exchange Memorandum Of Agreement (LEMOA) between the US and India in allowing both parties to use each other’s military facilities on a case-by-case “logistical” basis, essentially giving some category of Silk Road projects such as seaports and airports a dual function even though this is exactly what American think tanks warned would eventually happen. Even so, it’s the most logical and cost-effective security solution available. The catch, though, is that China must avoid being drawn into “mission creep” all across the world in defending its Silk Road interests, to which end it’s likely to avoid having any significant military presence overseas, let alone in actual conflict zones apart from the Hybrid War experiences that its peacekeepers are presently learning from. 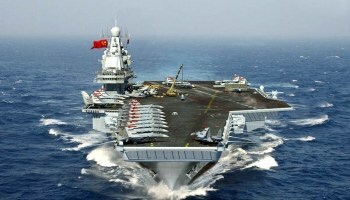 Thus, China will probably step up its training, advisory, and assistance missions to its many partners as part of its own multipolar version of the US’ “Lead From Behind” strategy, which could for example see future aircraft carrier deployments off the African coastin order to help its in-country allies respond to anti-Silk Road militants. The People’s Liberation Army is therefore predicted to become a hemispheric force active all across Afro-Eurasia, though concentrating mostly on the supercontinental Heartland of Central Asia and the East African coast of the Indian Ocean Region in managing its dual mainland-maritime military competencies in protecting the Silk Road. This is natural given China’s expanding security interests by virtue of the need to defend the trade routes and infrastructure that form the backbone of its export-oriented economy and consequently its national stability, though it will undoubtedly be misportrayed by the country’s enemies as an “aggressive move” driven by “neo-imperial” calculations.